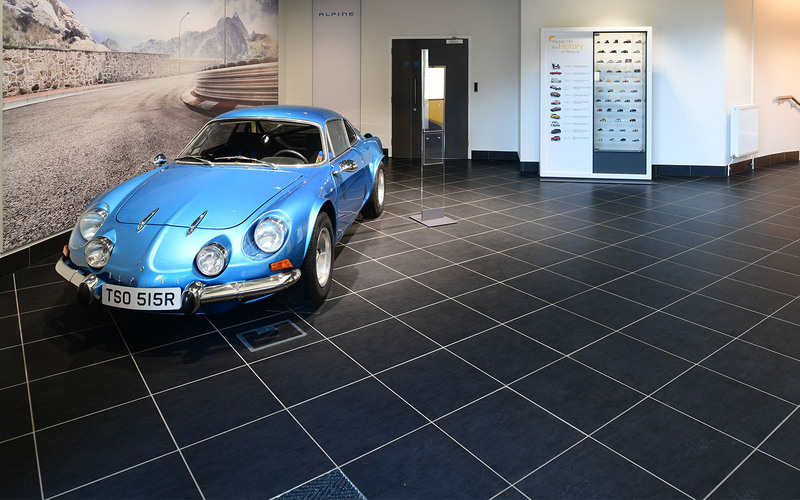 Renault have selected Minoli RSN 45, Renault Showroom Tile for the refurbishment of the UK Head Office in West London. 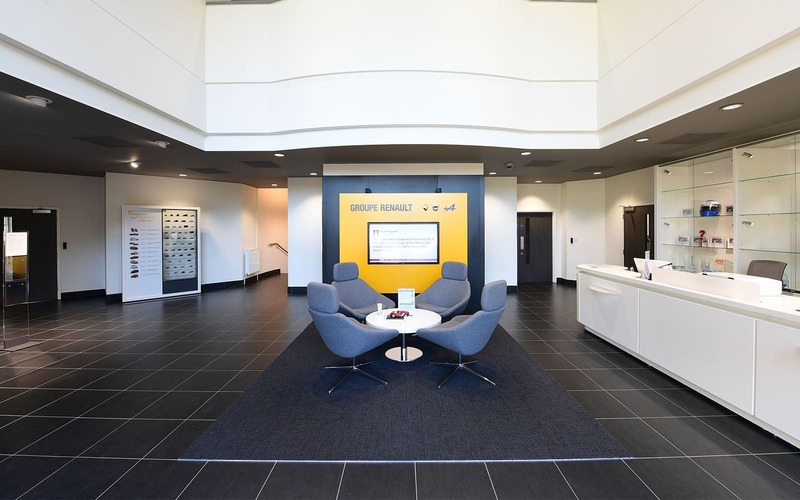 The complete refurbishment of the reception area is now fully completed and demonstrates the latest corporate identity for Renault, incorporating all of the key brand identifiers. 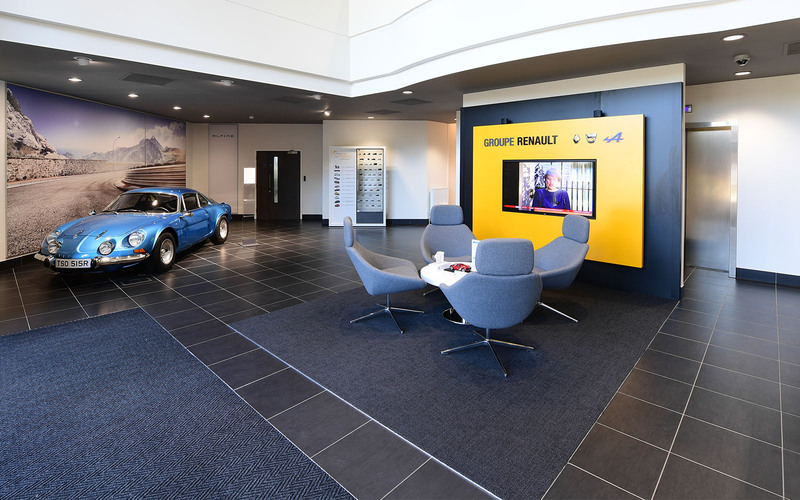 The group brands covered within the reception for Groupe Renault… Renault, Dacia, Alpine and Renault Sport. 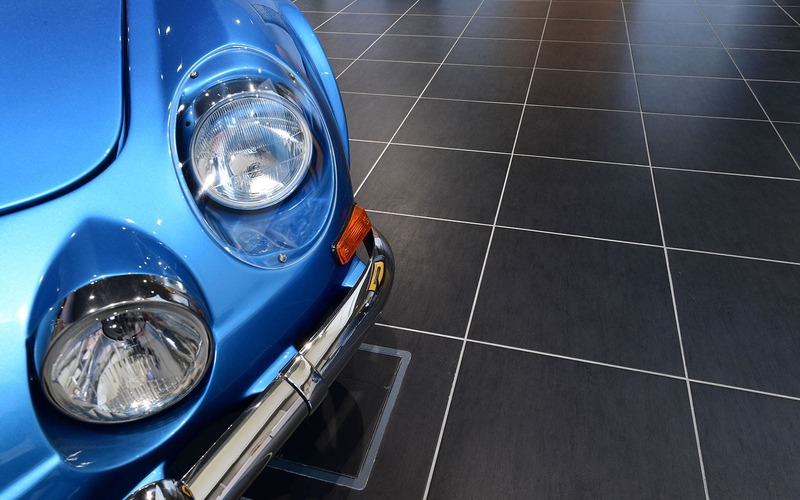 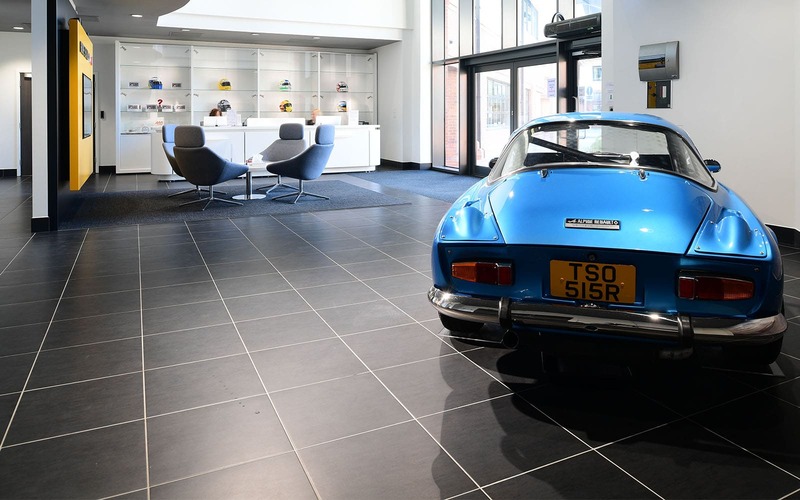 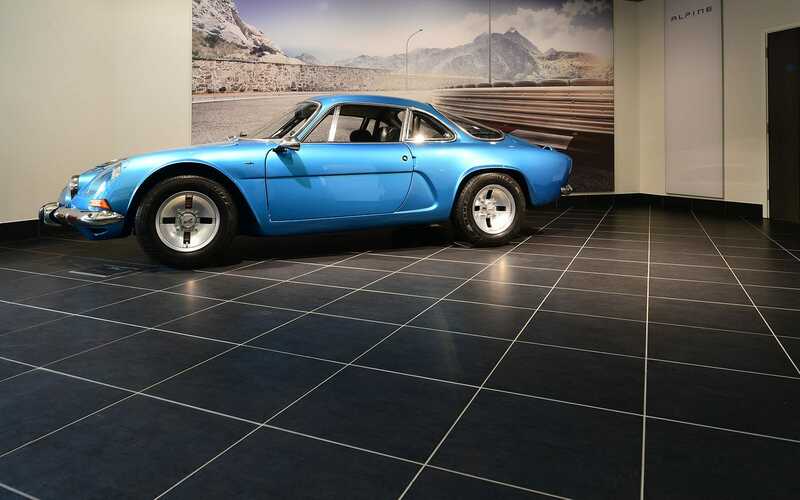 Pictured in the new reception area, reserved for “halo” cars is a classic Renault Alpine, in anticipation of the new brand “Alpine” that is due to be launch shortly in to the UK. 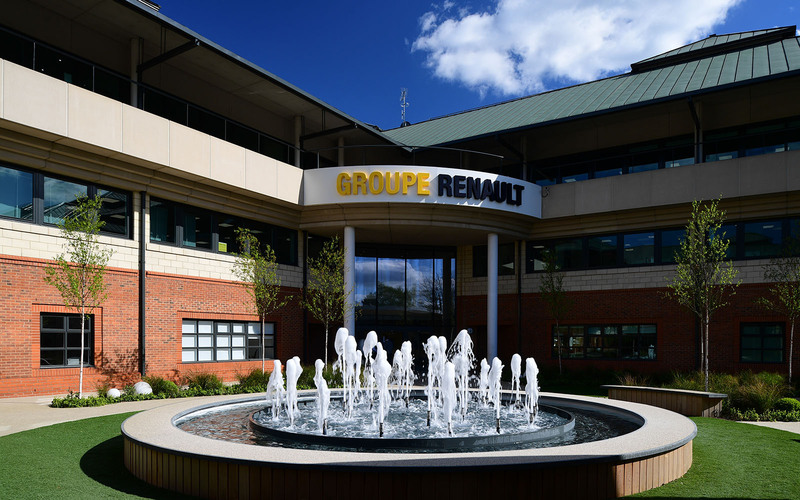 Minoli are truly delighted to retain our business relationship with Renault, which began over 25 years ago.